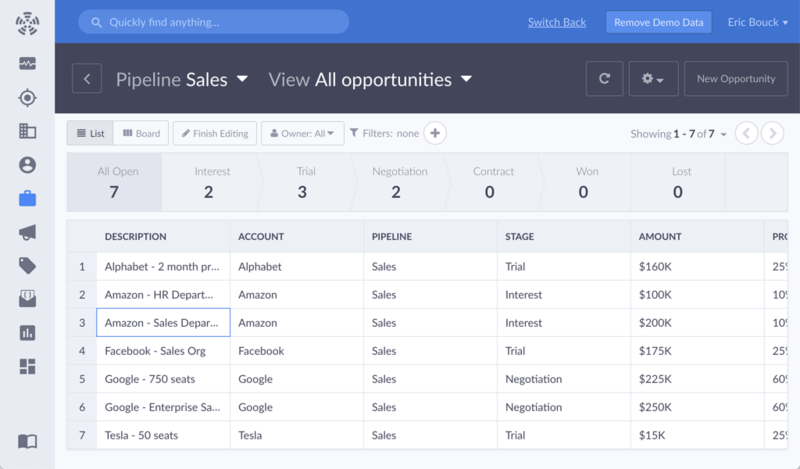 Take control of your sales pipeline with Propeller. 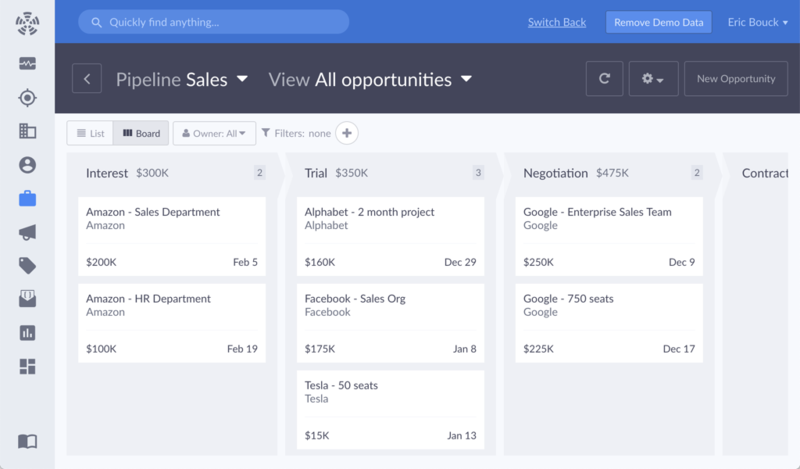 Get an at-a-glance board view of your entire sales pipeline. Quickly see which deals are in motion, what needs attention, and where things are stalling out. Never wonder about the status of a big sale or let another opportunity get lost in the shuffle. Effortlessly move from a board view to list view. Zoom in on the details that matter most for every deal. 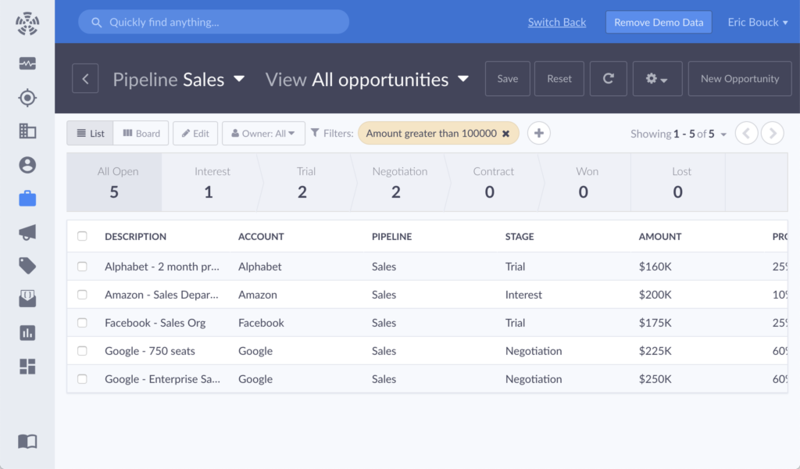 Customize columns in list view to get the exact details you need on every deal, without any of the extra stuff you don’t. Edit your pipeline like a spreadsheet, making it quicker and easier than ever to keep every deal up to date and on track. Never worry about losing another detail, contact, or note. Propeller makes it effortless to find and manage everything in your CRM. Powerful search functionality can instantly find whatever you need. Whether you’re looking for an email address, company, or conversation, it's just a search away. Sort and filter your data to drill down on what matters in the moment. Save and share custom views within the CRM. Make sure your whole team is on the same page and working from the same data. Create multiple pipelines for different markets, products, or processes. 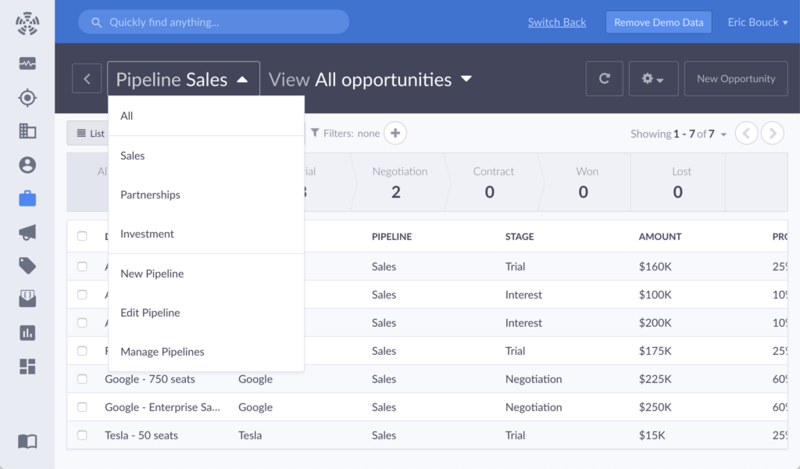 Customize every pipeline to match your sales cycle and the needs of your team. 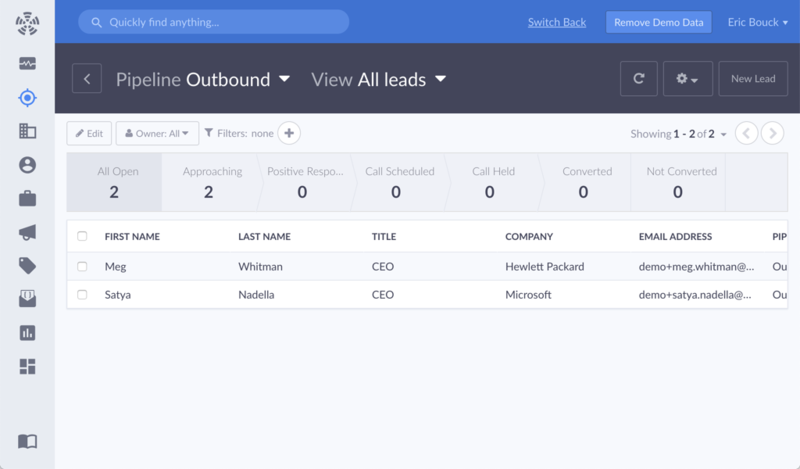 Track and manage sales leads as you qualify them into your pipeline. Never sift through dead leads again. Qualify every lead before they hit the pipeline and turn your sales operation into a perfectly tuned machine. Integrate Propeller with web forms to sync leads straight from your website into your CRM. Run cold email campaigns at scale to qualify leads before they become opportunities. 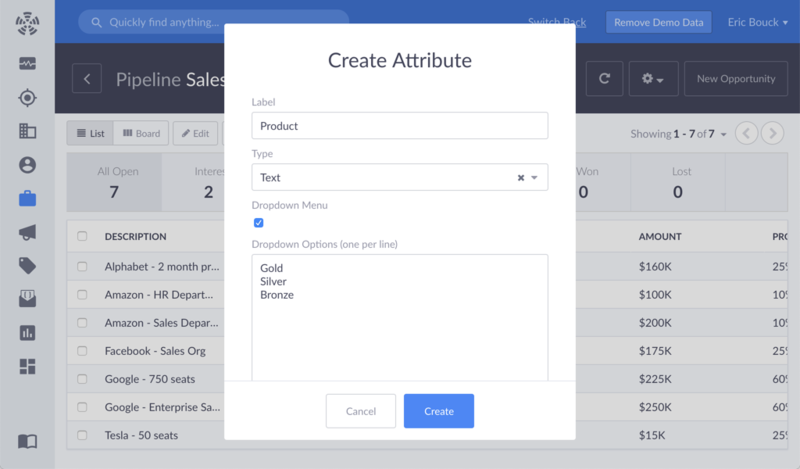 Propeller is highly customizable with the ability to add attributes, columns, sales stages, and more. It’s a CRM designed to meet your needs instead of forcing you to change your process or operations.